if this is the case all we need to do is initiate the table with the post down. the ball will only be stopped when the solenoid is triggered. added code so that the primitive domes turn on and off. the only thing left to do is add the correct Bart toy. Very excited for the next update to this table. 32a, table looking very nice!! so is this available or not? How did I miss this? I didn’t realize Assassin had updated it again. 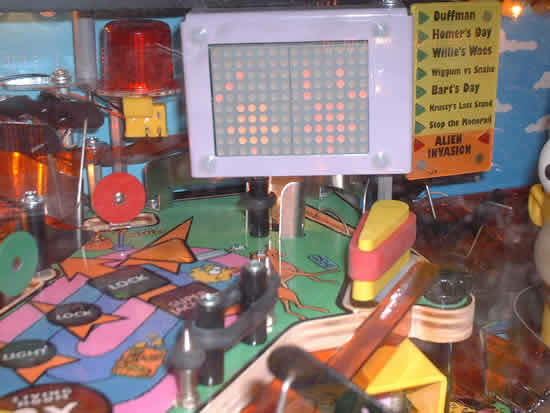 I did notice when I had the ball in the upper left mini playfield that once I hit the ball onto the next ramp sometimes it would get stuck or drift off of the table. I did check first page – only see 10/16. Was expecting later version so maybe I missed it? and made a materials upgrade, or so I thought. the default materials for Playfield and Plastic with an image(light) have a charcoal layer over them. that needs to be updated. set all the values equal to zero. if the head still looks funky, I’m open to suggestions on a material, Make one export it so that I can import it to my table. I suggest you do the same material updatet for all my tables, I did. I know its WIP but just thought I’d say that I tried turning those charcoal values to full black (0,0,0) but I still had the weird looking Homer. 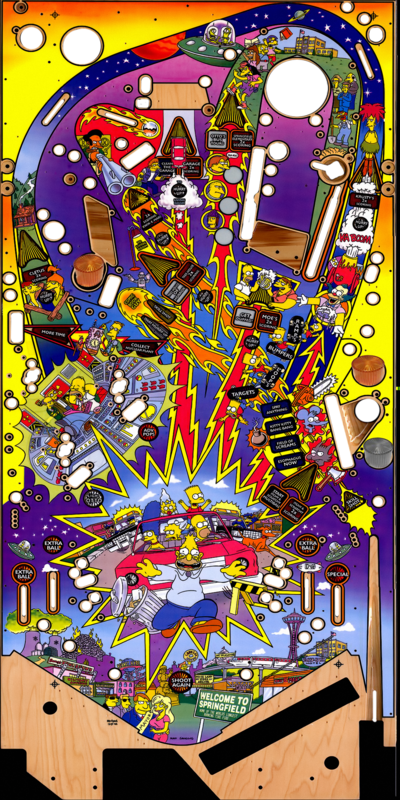 I downloaded Neofr45’s table though and the Homer was fine in that one, so thats definitely been fixed. Gave the table a quick spin (its looking really good by the way) but got the ball stuck, not sure if you’re aware of this one but i’ve included a screen grab just so you can see. The ball kinda got “held” there, pulled in as it moved past and then it went into the whole “looking for pinballs” loop. No amount of nudging would shift it so it was stuck solid. Wow. From that view the Mayor’s girlfriend is hot!